Homoeopathy is the practice of medicine based on the healing process of ‘like for like’. Homoeopathy began with the initial discovery or rediscovery by Dr. Samuel Hahnemann that the medicinal properties of a substance are ascertained by their very ability to produce symptoms of suffering they can also cure. 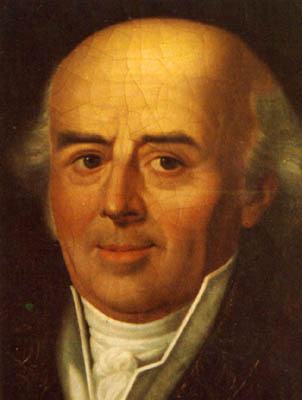 When Dr. Hahnemann discovered the method of potentisation whereby any harmful properties of a substance at the level of toxicity are removed and the medicinal properties inherent within the substance are enhanced he found a way to effectively apply the medicinal healing principle he had discovered. Dr. Hahnemann and his friends began to take medicines to ‘prove’ them, to become purposely sick as to realise and record the symptoms characteristic to each medicine. Homoeopathy was developed to a large extent during Samuel Hahnemann’s lifetime as it has been by a great many homoeopaths since. In the development of his understanding Dr. Hahnemann realised that when someone is sick it is their whole being that has changed. He realised that the symptoms of sickness we experience are only the manifestation of an all-encompassing altered state of being. Coinciding with this discovery he also became aware that medicines, especially potentised remedies do not act in a way he had previously thought they did. He discovered that a potentised remedy also creates an altered state of being and it is from the disharmony of this altered state that symptoms of distress begin to appear. With this astonishing realisation Dr. Hahnemann left all conception of Homoeopathy as medicine that acts on symptoms or even produces symptoms directly. It is the person who is effected by a potentised remedy as also in sickness it is the person who has become effected. This realisation of the reality of sickness as being a dynamic disturbance in the integrity of the whole person is clearly stated by Samuel Hahnemann throughout his writing‘s. In the essay Spirit of the Homoeopathic Doctrine of Medicine he describes this. Now as the condition of the organism and its healthy state depend solely on the state of the life which animates it, in like manner it follows that the altered state, which we term disease, consists in a condition altered originally only in its vital sensibility and functions, irrespective of all chemical or mechanical principles; in short it must consist in an altered dynamical condition, a changed mode of being, whereby a change in the properties of the material component parts of the body is afterwards effected, which is a necessary consequence of the morbidly altered condition of the living whole in every individual case… These active substances and powers (medicines) which we have at our service, effect the cure of diseases by means of the same dynamic power of altering the actual state of health, by means of the same power of deranging the vital character of our organism in respect of its sensations and functions, by which they are able to effect also the healthy individual, to produce in him dynamic changes and certain morbid symptoms, the knowledge of which, as we shall see, affords us the most trustworthy information concerning the morbid states that can be most certainly cured by each medicine. In much contemporary literature we find the emergence of a more complete understanding of what a potentised remedy actually is. In my understanding this is brilliantly given in the work of Dr Rajan Sankaran. As all homoeopaths true to the discoveries of Samuel Hahnemann have done Dr Sankaran recognises the importance of the mental/emotional aspects of both the person and also the state of suffering a remedy produces in a person. It is in his work we find the idea of a remedy as being a feeling, as producing a feeling or very particular set of feelings. For him, to give a remedy that is homoeopathic is to give a remedy that produces the same feeling to that which is observed to be, in the suffering person. Therefore somehow suffering is related to feelings. Concerning this Dr Sankaran observes that in suffering people are living the experience of feelings that seem to have little to do with their present circumstances. He calls this the delusion of the person and he very much considers delusions as being something which are experienced as feelings. To be in delusion is to have feelings about oneself, other people around, and situations, that have nothing very much to do with what is actually going on in the present. His work is full of descriptions of states of suffering and the underlying feelings, and they are the basis of everything written here. To more fully understand what Rajan Sankaran has discovered and to realise what is happening in the homoeopathic process of cure we need to understand what is taking place in sickness and suffering, and what feelings have to do with this. Underlying all sickness and suffering are feelings and it may be said of these feelings that they are healthy. They are part of the person’s self. What is taking place in suffering is the process of suppression and non-integration of certain feelings. In chronic suffering these feelings find their origin somewhere in the past and it is due to their being suppressed that they continue to assert their influence on the present. The attempt to distance oneself from the feelings of self is what creates stress and is the most significant origin for all pathology. Whether someone is suffering from an acute ailment, an infectious disease or a chronic illness, it is the feelings that have emerged before or with the affliction, which give the person the true information within the core of their being. When an ill person goes to the depths of themselves and accepts what is underneath they can integrate the information of the feeling and in this the expression of sickness has to a lessening extent no weakening of the integrity of self to remain manifest. What Samuel Hahnemann calls "our Vital Force" includes the process of our very being wanting to heal and it needs us to not resist our feelings as an enemy and rather to accept them as a friend. This is exactly what the homoeopathic process of cure helps brings about. Homoeopathy is the giving of a minute dose of the medicinal energy of the feeling that is being suppressed by the person in suffering. The state of suffering of each remedy in the materia medica is the description of the non-integration of certain feelings, which can take a particular form of an illness. Because the medicinal properties of a remedy can be realised by their ability to produce suffering upon being proved Dr. Hahnemann named this medical art Homoeopathy which means ‘similar suffering’. It is acknowledged that Samuel Hahnemann also considered a potentised remedy to be something inherently morbid in nature. This was a natural conclusion following on from all his experiences with substances in their crude form and then what he observed during the proving of a potentised remedy. Samuel Hahnemann began experimenting with smaller and smaller sized doses because he needed to better apply the homoeopathic method. What is produced through the process of dilution and succussion is that the energy of the feeling of the original substance is translated from that substance to the water or alcohol. This energy when utilised homoeopathically brings about an integration of the feeling that is suppressed in the suffering person. The biggest obstacle to realising this has perhaps been through not understanding what is taking place when a person proves a potentised remedy. The prover rather than being effected by something that is inherently harmful is instead going through a very similar process to someone in more normal suffering. During the proving of a potentised remedy the person is not integrating the energy of the feeling that has temporarily become a part of their self, and as such they begin to suffer and exhibit symptoms just like when the feeling emerges in normal circumstances. 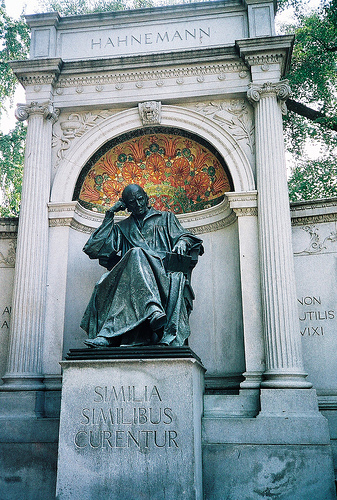 Throughout his writing’s Samuel Hahnemann frequently revisits the subject of what is taking place within the Homoeopathic process of cure and in his later years we find him even more wanting to know and explain what is happening. He discusses the matter in aphorism 28 to aphorism 46 of the 6th edition of the Organon of Medicine. In his preface to the 4th edition of The Chronic Diseases he writes “It is, therefore, quite natural, that in presenting the Homoeopathic Therapeutics I did not venture to explain how the cure of diseases is effected by operating on the patient with substances possessing the power to excite very similar morbid symptoms in healthy persons. I furnished, indeed, a conjecture about it, but I did not desire to call it an explanation, i.e., a definite explanation of the modus operandi" and further on "I write the present lines, not in order to satisfy those critics, but in order that I may present to myself and to my successors, the genuine practical Homoeopaths, another and more probable attempt of this kind toward an explanation. This I present, because the human mind feels within it the irresistible, harmless and praiseworthy impulse, to give some account to itself as to the mode in which man accomplishes good by his actions". For someone who is so forthright and clear in expressing his thoughts of what he knows to be right it is clear Dr Hahnemann is not satisfied with his own speculations. There was something about Homoeopathy Samuel Hahnemann knew he didn’t understand and he did not like his own explanation as to how Homoeopathy cures, this is what he is telling us. At the same time the conception of ‘like for like’ as helping the person return to the place of self being suppressed is not in any way an original idea. We find Homoeopathy described as such throughout the literature. In his essay titled Spirit of the Homoeopathic Doctrine of Medicine, published in 1813 by Dr Hahnemann. "But as the human organism even in health is more capable of being affected by medicine than by disease, as I have shown above, so when it is diseased, it is beyond comparison more affectable by homoeopathic medicine than any other (whether allopathic or enantiopathic), and indeed it is affectable in the highest degree, since, as it is already disposed and excited by the disease to certain symptoms, it must now be more liable to be deranged to similar symptoms (the homoeopathic medicine) - just as similar mental affections render the mind much more sensitive to similar emotions" -; (Lesser Writings). The last phrase here describes Homoeopathy as integration exactly and is perhaps the first expression of the principle underlying healing in medical literature. Near the end of his introduction to the 6th edition of the Organon of Medicine Dr. Hahnemann discusses the ‘physical powers’ of beneficial action in relation to the beneficial nature of ‘dynamic action’ of homoeopathic medicines. In a passage on Isopathy and Homoeopathy he writes “In like manner, a hand scalded with boiling water would not be cured isopathically by the application of boiling water, but only by a somewhat lower temperature, as, for example, by holding it in a vessel containing a fluid heated to 160 (degrees) which becomes every minute less hot, and finally descends to the temperature of the room, where-upon the scalded part is restored by Homoeopathy.” What Dr. Hahnemann is describing here is a process to do with feeling. When someone scalds their hand they experience the feeling of extreme heat which makes them pull their hand away. In applying quite hot water to the scalded hand, as hot as helpfully possible, keeps the hand close to the feeling of the injury, that of extreme heat, and in so doing keeps the person close to the feeling of the injury. In the writings of other Homoeopathic physicians there are many descriptions of this same idea. On page 268 of his Clinical Materia Medica Earnest Farrington when referring to Opium writes a sentence, finishing it in bold letters “Now gentlemen, let me ask, is it rational practice to assuage pain with a substance which paralyses and so relieves by taking away, not the disease, BUT THE ABILITY TO FEEL THE CONSCIOUSNESS OF SUFFERING?”. Dr. James Kent was always heading towards this understanding of Homoeopathy. Catherine Coulter throughout her 3 volumed work Portraits of Homoeopathic Medicines frequently equates the action of remedies with integration. She writes in her essay on Sulphur "the Homoeopath repeatedly finds how by 'unblocking' one member with a constitutional remedy, the dynamism of the whole family is affected for the better". And George Vithoulkas in the books Talks on Classical Homoeopathy sums up a passage on health and disease by saying "I believe that if we could make all of our emotions positive, we would go away from this world immediately. At that stage we will fly to the angels". Jan Scholten in his book Homoeopathy and Minerals describes a main characteristic of the single element remedies to be ‘no integration’. I will now attempt to illustrate this idea with examples of remedies and what is written of them in the Materia Medica. If we begin with the remedy of Arnica. The feeling of Arnica is perhaps like the hurt of shock and fright in being injured. If we imagine someone having been in some kind of accident and is feeling just like this, like what Arnica produces. To the extent they feel this kind of hurt they will not enter any suffering in the dynamic sense. If the person however cannot or does not take such good care of themselves and resists being hurt they could begin to develop symptoms of distress corresponding to Arnica. That is, symptoms that are also produced during provings of Arnica. James Kent explains the non-integration of the hurt of Arnica like this, "He is full of dreadful anguish, but finally he comes to himself, lies down and goes off into a sleep of terror, jumps up again with the fear of sudden death and says: 'Send for a doctor at once'. This is repeated night after night in persons who are fairly well in the daytime, who have no sympathy because there seems to be no reality in their sickness, only a mental state. It is also seen in persons who have gone through a railroad accident, or through some shock, who are sore and bruised, with an expression of terror: the horrors they really went through are repeated” (Lectures). In suppressing the feeling the person becomes separated from the process of healing and the suppression becomes a suffering of its own. This wanting or needing to be different to that which is suppressed leads to the process where the person alternates between two very opposite poles. These being on the one hand a distorted expression of the underlying feeling itself (distorted due to its not being accepted) and an expression of the very opposite of the feeling. 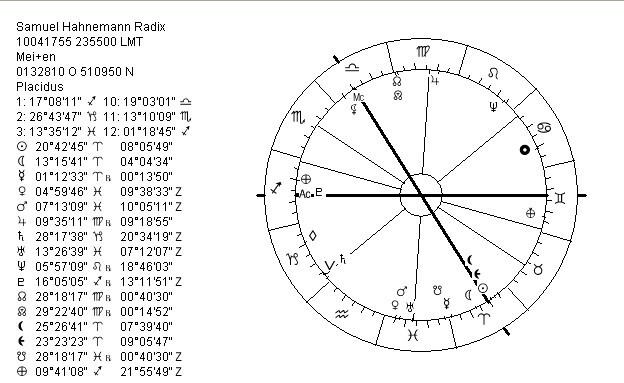 With Silicea for example, in not integrating the feelings of being unconnected to another person, or others (row 3) together with feeling unsure about what to do (column 14) the person is instead needing or wanting to be someone who is connected with others and who is very sure about what they are doing. Thus in Silicea the person is yielding to be connected and obstinate to prove they are sure about what they are doing. Catherine Coulter captures the not-connectedness of Silicea (and of the whole row of Silicea) where she says ‘Patients may complain of a feeling of “disconnectedness” of being divided from, and not quite belonging to the human brotherhood…’, and in a footnote to the same discussion she quotes as a very Silicea like attitude, "Most persons whom I see in my own house, I see across a gulf! I cannot go to them nor they to me" (Portraits). With the state of Calcarea Carbonica the suppression of feeling insecure (row 4) that they don’t belong (column 2) (Calcarea), together with feeling unseen (row 2) and unsure what to do (column 14) (Carbonate) all comes together in the proving symptom ‘she is afraid people may notice the confusion in her head’ (The Chronic Diseases). Earnest Farrington writes that Constantine Hering knew Calcarea-carbonicum to also contain Phosphorus. The feeling of the Phosphorus column which includes Nitrogen and Arsenic is like that of being treated like you are inferior, like less than no-one, hence the expression recorded by Samuel Hahnemann in The Chronic Diseases, ‘Exaltation of the sense of common brotherhood’. Magnesium Carbonicum in feeling unconnected, and that they don’t belong, (Magnesium), together with feeling unseen and unsure what to do (Carbonicum) comes together in the expression ‘Dazed feeling, packs and unpacks her clothes, without consciousness of having done so’ (S R Phatak). Jan Scholten very much describes one expression of feeling unseen in the Fluorine remedies where he says, ’One could describe the world of Fluor in short as one of ’glamour and glitter’…people who want to take part in the bright life. What is important is the shiny, glittery’ (Homoeopathy and minerals). This feeling of being ‘unseen’ by others around them, the central feeling common to all the elements of row 2 is directly related to the most outstanding expression this feeling becomes, which is the impression of being in danger. All the Carbonicums Calcarea-carbonicum, Natrum-carbonicum, and Argentum-nitricum, Nitric acid, Borax, Fluoric Acid etc all have this sensation of being in danger. In suffering the person is temporarily ameliorated (mentally) when they are far away from that which is now suppressed and they are aggravated (mentally) the closer they return. In describing the mineral states as being ‘performers’ Dr. Sankaran is very much observing the means through which the person attempts to be someone different externally (the exact opposite) to what is suppressed. In suffering, rather than to feel unvalued the person instead wants to become someone who is valued. Rather than to feel insecure they want to become someoneÃ‚Â who is secure. It is this overcoming externally what is denied internally that makes the suffering corresponding to the mineral states seem more considered to what we find in the plant states. Underlying the state of Cuprum Metallicum is the feeling of insecurity and of being treated without any value. In the non-integration of this feeling is created the need or wanting to become someone who is secure and of value. And yet there is also always present the desire for the expression and integration of what is being experienced. George Vithoulkas describes the dilemma of this in the following description of the state of Cuprum. "In these people you will notice that an idea comes suddenly to their minds and it is so forceful. It comes right out of the blue. It is so forceful that it might create a kind of spasm in the body. A thought which is not agreeable will not be handled by the intellect. It seems that the intellect has lost its power and it cannot be processed. It will think, “Oh, I didn’t do this right!,” and nobody can understand. But in a Cupr. Patient, if that idea comes in, you will see a kind of cramping in his body and you may see spasm. Question: Do you mean a self-critical idea? This “Oh my God” does not stay in the mind, but it goes through the nervous system and produces a convulsion - a jerk… This is a stimulus that instead of being processed here goes through to the spinal cord. They feel that their mind is not made to work. It is in a kind of spasm or cramping situation. They let loose, and say, “Oh, nobody minds, so forget about it.” And then the idea which they have goes through to their physical body. As long as they can process the ideas, they are forcing of the mind to process the ideas, they do not allow the stimulus to go to the nervous system. How this condition is produced? We have the preparation of a Cupr. Patient… They imagine themselves expressing what they feel. The moment they get terrified there is a cramp. You may get a child with all these vivid sentimentalities, and emotionalities who will be cramping within one day after a shock…So, with these intense emotions you can understand that there is a feeling of fright and guilt inside them. They feel that what they are thinking and feeling is bad. There is a great sense of guilt in this Cupr… I told you how cramped they are and they look terrible. Sometimes the look is frightening. Behind the look there is great guilt, without reason. They are nice people. They have done nothing at all. They thought that at a moment in their life that what was inside them was not right or moral. That is what is wrong. That is what they have done wrong. And they go into spasm. It is listed under anxiety of conscience as a one" (Talks on Classical Homoeopathy). In the suffering corresponding to the remedies derived from plants the dynamic is seemingly slightly more straightforward. Here the person wants to be someone who doesn’t have certain feelings and therefore they are very sensitive to being reminded of them. In Arnica, the person is wanting the feeling of hurt to go away, to not be there. With Stamonium the person is resisting feelings of being very alone lost and frightened. In Arnica the person alternates between feelings of frightening hurt of injury and its opposite, that of being courageous and ‘not hurt’. With the remedies of the Liliflorae family the suffering seems to correspond with the desire to be included. To be included is the opposite to the feeling of being left out and excluded, the primary sensation for the remedies here. With this, the person can tend toward wanting the right job, the right friends etc. They have the desire to be important because they maybe instinctively think to be important means you are more likely to be included. Verat-album even has the delusion of being in communication with God (person’s with whom they perceive as being central and important). The main feeling of the Labitae family is sadness. The suffering that corresponds with remedies of this family finds its origin in the suppression of various kinds of sadness. In the provings of these remedies is the very prominent sensation of excitement. This is the desired and exact opposite feeling created due to the suppression of feeling sad. The excitement here although it is desired also ends up being aggravating and contributes to pathology because ultimately it is not a true excitement, it is a reaction to not feeling sad. The main feeling of the Ranunculaceae family is that of mortification, like being humiliated, or somewhere between these feelings. In the provings and descriptions of the remedies here we find repeated the person having the sensation of themselves being great, having the sensation of greatness. In Helleborous this has been proved ‘Delusion as if he could do great deeds’ (Dr Chawla), while Staphysagria has ‘Delusion humility of others while he is great’ (Dr Chawla). Didier Grangeorge describes one expression of this where he writes about Aconite, ‘an insufferable know it all. They must plan everything in advance, know everything there is to know’. Alfred Pulford also writes of the Aconite state ‘Thinks much of fine clothes…’ (Key to the Materia Medica). This might be like a desire to be grand. Pulsatilla has theÃ‚Â underlined rubric 'Boaster squander through ostentation' (Dr Chawla). To be great is the opposite of humiliated, mortified. It is interesting to note that the substances we know of as narcotics produce an effect that is the opposite alternating state to the primary state of that substance when proved as a potentised remedy. Rajan Sankaran shows this dynamic in his schema where he gives the primary sensations of Cannabis as being ‘compressed, heavy, pressing, load, limited, dragging, fixed and confined, closed, shut in’, and he gives the ‘opposite is’ as ‘lightness, flying, expanding, free, enlarged, floating’. The effect of cannabis when taken in its substance form is to take the person into the ‘opposite’ state to the actual feeling inherent within the plant, it produces the secondary opposite state. We find the same phenomenon throughout all the remedies also known for their effect as narcotics. The main feeling of the Papavaraceae family for instance, is that of shame. The suffering for which the remedies of the Papavaraceae correspond is in the non-integration of the feeling of shame. With Opium the narcotic effects at the two levels of feeling and sensation are those of shamelessness (feeling) and painlessness (sensation), which is how the effect of Opium is described when proved as a crude substance. This also means that the remedies of Papavaraceae are indicated for the state of shame, the state of suppressed shame and the corresponding sensations of torturous pain. Opium it seems is very much like the feeling of frightening shame. Another remedy significant in this regard is Coffea. The primary emotional state common to all remedies of the Rubiaceae family is something close to the feeling of apathy. A kind of not wanting to do anything. Dr. Sankaran gives the outstanding sensation of the remedies here to be that of stimulation or ‘overstimulated’. This is similar to George Vithoulkas when referring to China as a ‘nervous erethism’. This over-stimulation or nervous erethism is the opposite to apathy. Coffea of course is known for its effects as a stimulant. I think what this means is that the suppression of feelings we have leads us into an opposite state to the primary feeling, which is comparable to the artificially induced effects of taking substances for their secondary reaction, an effect that is also the opposite to the actual main feeling of the substance. Thanks for your encouraging comments. This all comes from my observations of other people and myself. I love Homoeopathy and think that the knowledge held within the discipline is amazing. Could I mention that this whole article has also been published in an extended form in Hpathy, just in case you want to read more. this is amazing. how did you come to study this? Me ha sido muy útil, y por lo tanto doy mis más sinceras "Gracias". This has been very useful for me, and for that I sincerely thank you.